Possessing a rare elegance, this coffee table that mixes leather and glass was designed by French architect and designer Jacques Adnet (1901-1981) in the 50s. 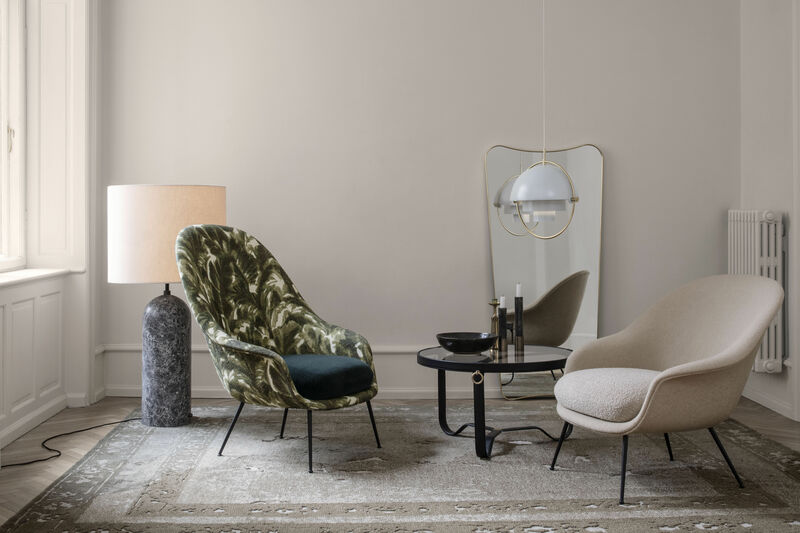 Deeply rooted in the Art Deco movement that began in Paris in the 1920s, Jacques Adnet is known for his avant-garde design. He was one of the first to combine leather, metal and glass. In 1950, he entered into a partnership with Hermès, with which he developed a collection of furniture and accessories covered with leather. His style is the pinnacle of luxury. 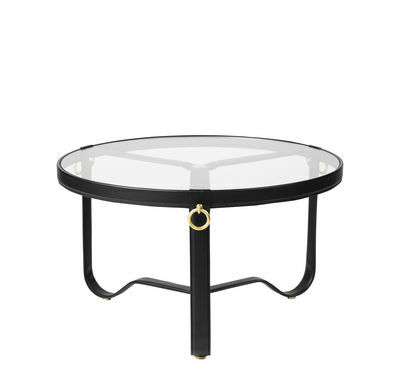 This coffee table consists of a glass top lined with luxurious Italian leather and adorned with three golden brass rings. This stylistic detail evokes luxury leather goods. 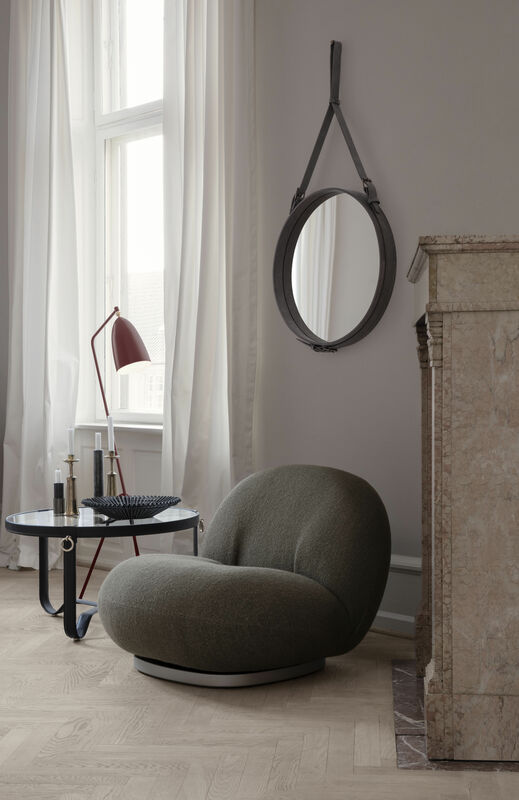 The curved metal legs, also covered with leather, meet elegantly in the middle of the table. An exceptional piece of furniture.